No matter what, just assume nobody is going to hit you. Assume waving your thanks is enough to be forgiven all sins of driving and the other guy really meant for you to cut in front of him, make a u-turn, or park in the middle of the road. “Shiten” is not an expression of frustrated drivers, it means “For Sale” in Albanian. Kostrati is not what one driver threatens another, though he may think it. It is the name of a large oil company. Today, I tour Tirana. 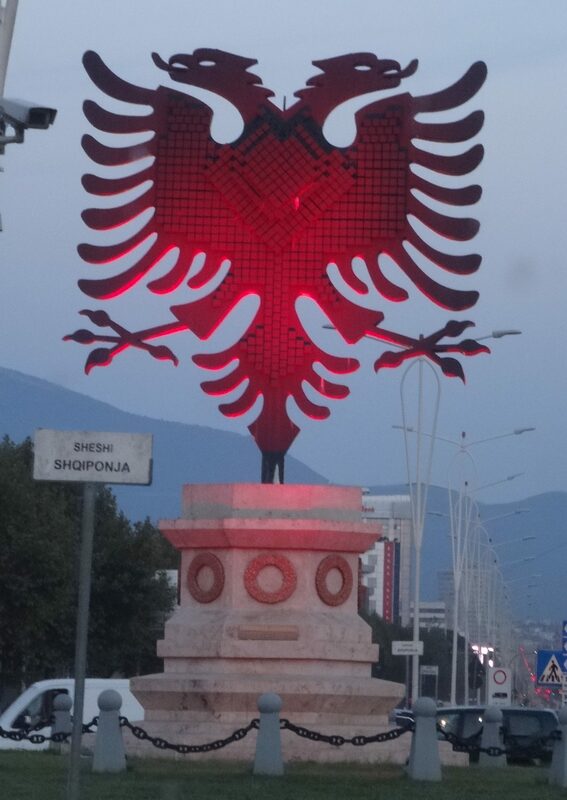 Tirana was founded as an Ottoman town in 1614 and became Albania’s capital city in 1920. With a population of over 800,000, with its terrible streets and plethora of cars, it feels like a city of twice that number. The Tirana River runs through the city and there are four artificial lakes. There doesn’t seem to be as many stray dogs, but that may be because they have all been run over by cars. Close to our hotel is an excavated ruin of an old Roman home/Christian church. To unlock the gate, one contacts the old woman selling vegetables across the street. Once inside, there are some wonderful mosaics and a small box filled with a treasure trove of pottery shards. The site is old, Roman, and recently discovered. Come back in a few years and no telling what one will find. 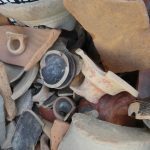 It is clear that there is much ancient history remaining uncovered beneath the streets of Tirana. Skanderbeg Square is an excavation site, which is unfortunate as it would otherwise be a spectacular square. 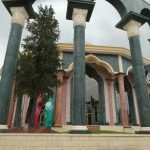 Located around the square are several government ministries, Parliment, national theater, national library, national art gallery, an orthodox cathedral, a mosque, the Kapllan Pasha Tomb, and some of the more interesting architecture in Tirana. Also in the center of the square is the gallant, successful warrior Skanderbeg astride his horse. Our destination is the large building at the end of the square, The National History Museum. Opened in 1981 under the communists, it is a huge modern building organized by pavilions which include Pavilion of Antiquity, Pavilion of the Middle Ages, Pavilion of Renaissance, Pavilion of Independence, Pavilion of Iconography, Pavilion of the National Liberation Antifascist War, Pavilion of Communist Terror, and Pavilion of Mother Teresa. The most important pavilion is the one of Antiquity. Rooms are chockablock full of displayed objects starting with the Late Paleolithic and prehistoric culture including coins of silver and bronze embossed on behalf of the Illyrian kings of the centers of Durrës, Apollonia, Shkodra, all cities we will later visit. Proving their connection with the ancient, mysterious Illyrian culture was a communist goal. Albania essentially got along with its neighbor’s BP (Before Paranoia). However, with the leadership of Hoxha, so too came the education of his people into their origins. 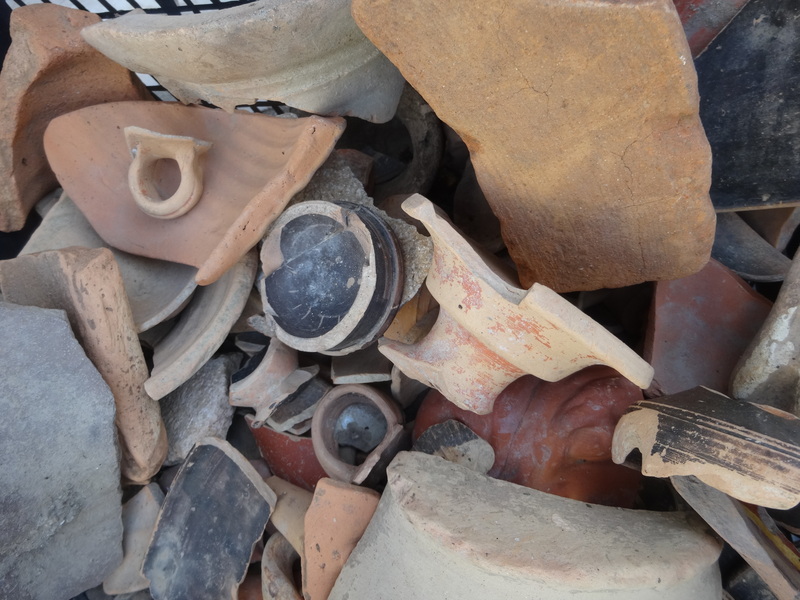 Part of this education came from ancient history and the excavation of Illyrian, early Roman and Greek sites. Another part came from the duty of the party to separate Albanians from any connection to the Slavs. The Albanians were to learn they had been on this land a long, long time. Other pavilions are equally interesting and objects are well presented. However, nothing is explained in English. There are many original objects, documents, books, photographs, national flags, weapons, banknotes, stamps, and other cultural objects. And though gruesome, the sections on Liberation and Antifascist War and the Pavilion of Communist Terror are well done. 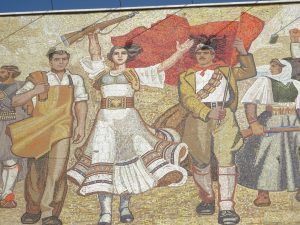 Little is known about Albania during Hoxha’s regime as no news in and news out was the rule. These displays give a hint at the repression and terror that occurred in those 44 years. I might add here that there were also many good things that happened under Hoxha and, as in most post-communist countries, there are those who miss them. Hoxha’s government adopted Agrarian Reform Laws and confiscated land from beys and large landowners, giving it without compensation to peasants. Illiteracy, which was 90–95% in rural areas decreased to 30% by 1950 and by 1985 it was equal to that of any Western country. The State University of Tirana was established in 1957. The Medieval Gjakmarrja (blood feud) was banned. Malaria, the most widespread disease, was successfully fought. From 1965 to 1985, no cases of malaria were reported, whereas previously Albania had the greatest number of infected patients in Europe. However, the party was terrified of a tiny old nun known to the world as Mother Teresa. They thought she was dangerous and she was not allowed back into Albania, even when her mother was dying. It was not until Hoxha’s death that the Pope and Mother Teresa came to Albania. Across the square is the 18th century Xhamia e Et’hem Beut Mosque. 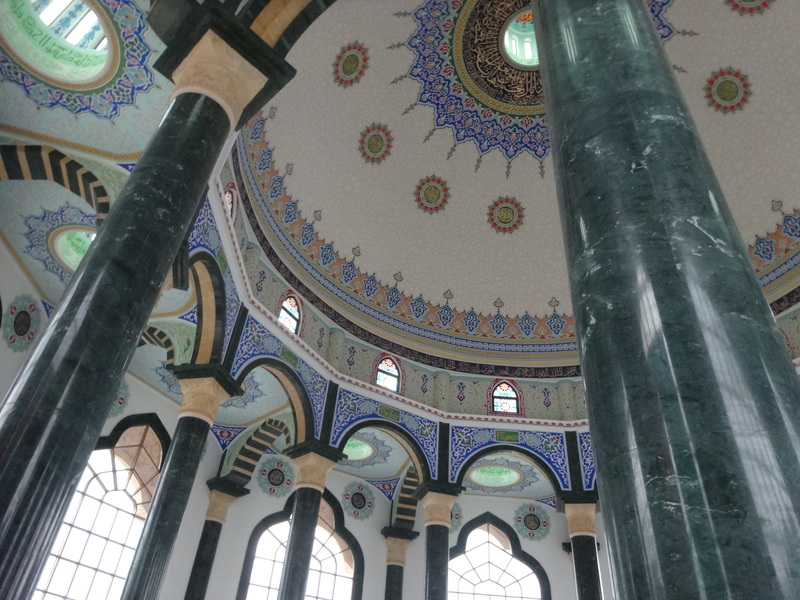 Like all religious buildings, this beautiful mosque was closed under communist rule and only reopened for worship in 1991, without permission from the authorities. 10,000 courageous people dared to attend, all carrying flags of unity, and the police did not interfere. The frescoes outside and in the portico depict trees, waterfalls and bridges – designs rarely seen in Islamic art. The interior is stunning and intricately carved and painted. No tour would be complete without a short walk around the “commie block” area, a small park just beside the old communist party headquarters and residences. In the park is an intact, though stinky, example of the two-man bunker seen covering the landscape of Albania. There is also a chunk of the Berlin Wall. Just down the street is the house of Enver Hoxha, empty now. 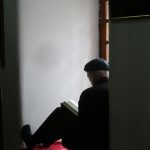 Even though his wife is still alive and living in Tirana, no one uses the home. And the city, as yet, has not decided what to do with it. I suspect a restaurant as it is on prime real estate in an up-and-coming yuppie area. 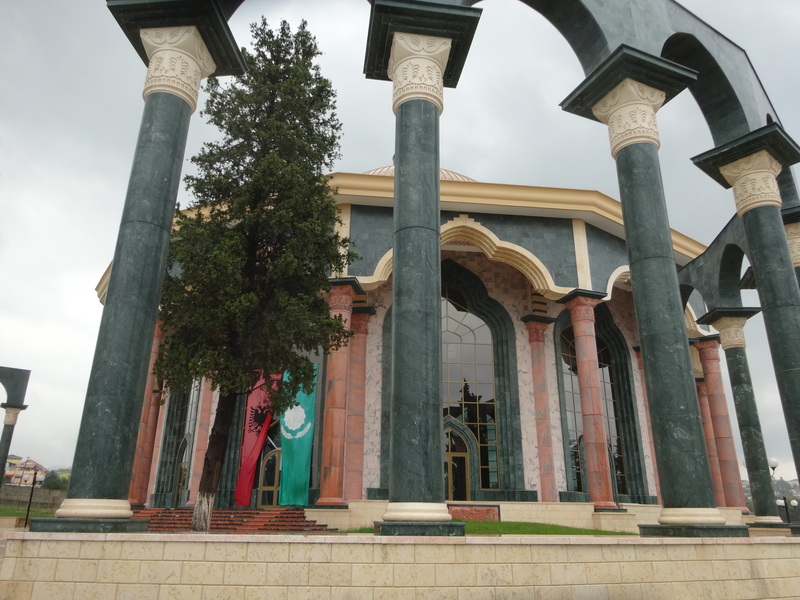 Probably the most interesting, unusual and possibly most baffling site we visited in Tirana was the Headquarters of the mysterious, mystical Muslim Bektashi Sect. The building is relatively new and quite impressive. This is a dervish order named after the 13th century saint Haji Bektash Veli from Khorasan, but founded by Balim Sultan. The order is mainly found throughout Anatolia and the Balkans, and was particularly strong in Albania, Bulgaria, and among Ottoman era Greek Muslims from the regions of Epirus, Crete and Macedonia. We arrive in a downpour and lightening. have been cowboys (vuvote-gr) and mention that Dodona city is found on the other side, far away in the fartest boundaries off.” Thankfully we had a friendly, happy member show us around the upstairs hall and museum below. 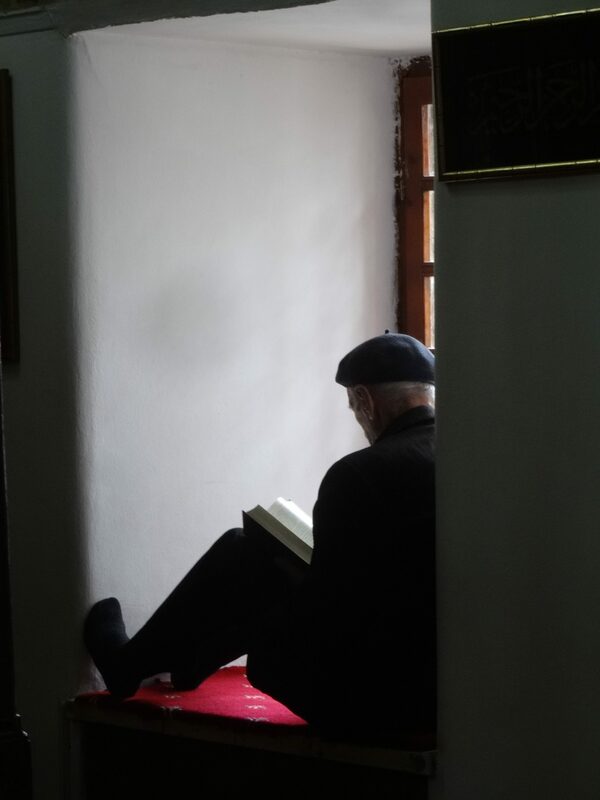 Bektashis base their practices and rituals on their non-orthodox and mystical interpretation and understanding of the Quran and the prophetic practice (Sunnah). They have no written doctrine specific to them. Our guide stressed their acceptance of all faiths and their peaceful intentions, i.e. not like their radical brethren who would probably eliminate them given the chance. There is a lot more to these sects than meets the eye and clearly the different sects of Islam are not getting along. We end our day riding the Mt. 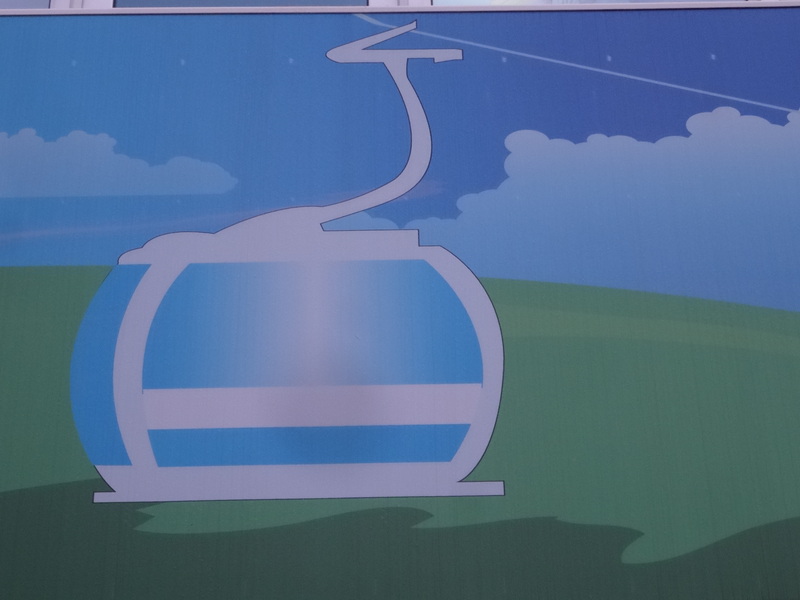 Dajti gondola car to the mountain top. The line is almost 3 miles long, the longest cable ride in the Balkans, taking travelers over the mountain tops of Dajti to the Ballkoni Dajtit restaurant. A beautiful landscape underneath makes this trip memorable. So does the storm clouds. In clear weather it could be spectacular. We, on the other hand, went up to the restaurant after a storm and the top of the mountain was above the clouds, temperatures dropped and there was concern if we would be able to ride the cars down after dinner. 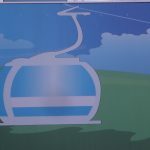 The ride is about 15 minutes total, a very long 15 minutes when one is riding in a metal box in the highest object in the sky traveling over mountain peaks, sometimes the only thing in the sky at which those lightening bolts can aim. We anxiously watch lightening flashing and listen to thunder roll over Tirana. Supposedly these are amazing views. I wouldn’t know.